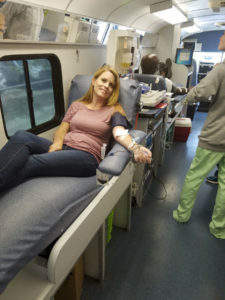 Carter Blood Drive - Blakeman Transportation, Inc. Yesterday was a Great Day at Blakeman Transportation Inc. 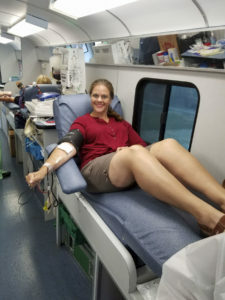 Thanks to the Coordination efforts of Linda Ferris and the Carter Blood Care mobile unit, the Blakeman team was able to partake in a blood drive that will impact the lives not only of those who receive blood but those who are involved in the giving process. 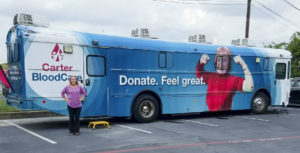 We have been involved with the Carter Blood Drives for 7 years totaling 10 Blood Drives. 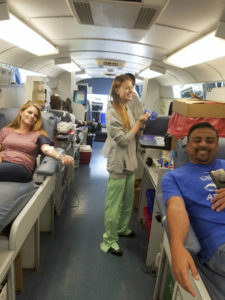 The Blakeman team gave 21 pints of blood, which will save 63 lives and 4 whole blood, in turn this will save 8 to 18 lives. These numbers are reflective of the individuals and the need they have. In short, 75 lives will be impacted. 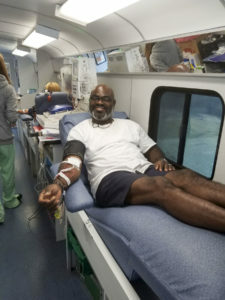 We would like to thank Carter Blood Care for the opportunity and all of those who are impacted both directly and indirectly.